Five years after Arna’s death, Juliano, now one of the region’s leading actors, returns to the camp to discover what happened to Arna’s children. Shifting back and forth in time, Mer Khamis’s film juxtaposes the sweet-faced young boys with the militants and martyrs they become. 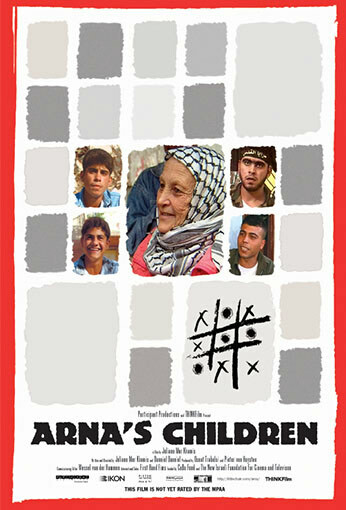 Arna’s Children reveals the tragedy and horror of young lives trapped by the circumstances of occupation.